There are some days when all that your body needs is peace and rest. There is nothing better than coming home and experiencing the beautiful energy that fills our home—we need to absorb the good vibes. After a nice hot bubble bath, don't resist heading into your bedroom for some TLC. 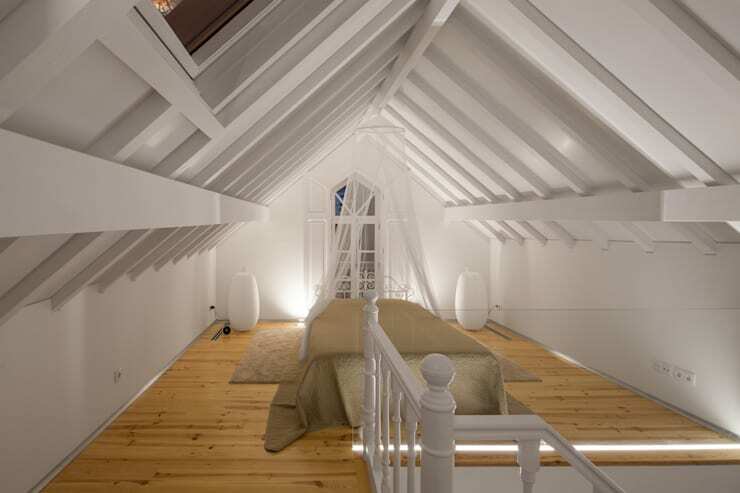 Your bedroom should feel warm, where you can relax without worrying about anything. The homify professionals work every day for you to answer all of your questions through their ideabooks. When everything is done with such care, the result can only be fantastic. 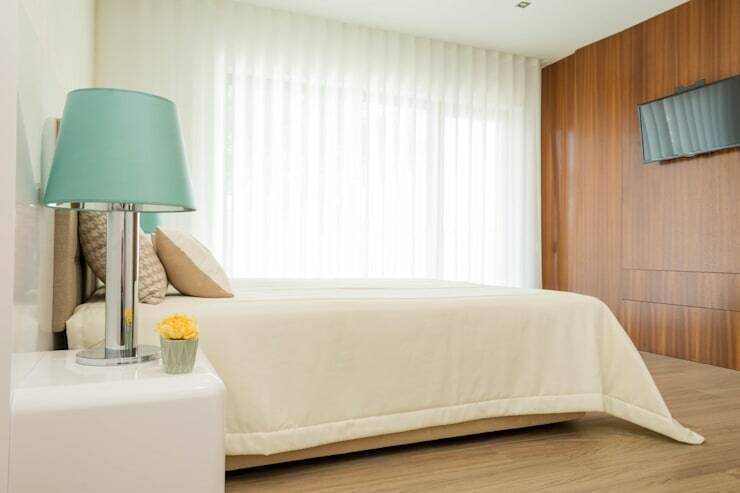 In the next images you will find reasons to turn your bedroom into a calm oasis . If you enjoy yoga, these images will leave you feeling peaceful and calm! Why on earth would you want a television at the foot of your bed? 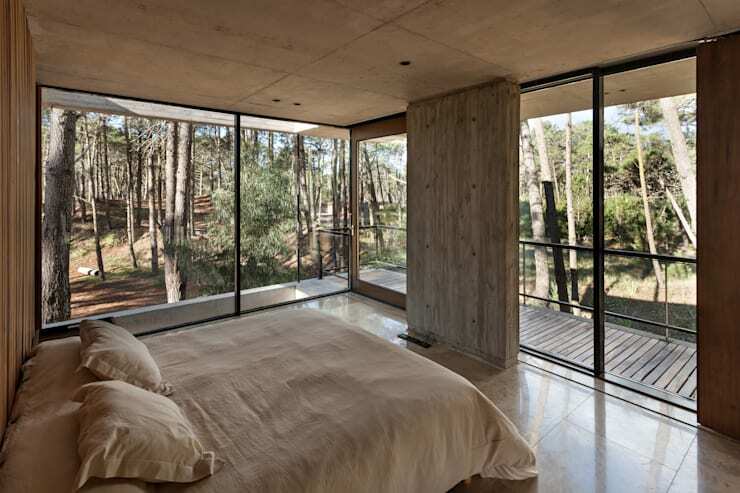 Let large windows, like these ones in the photograph, be the only view that you see. Invest in nature and the magnificent views that surround your home. Each new season will be like an artwork in front of you! If it is winter, you will enjoy the rain. If it is summer, you will feel the beautiful heat of the sunbeams shining through the glass. In your bedroom, you should be able to watch the movie of Mother Nature, which leaves you feeling harmonious and zen. This is the type of feature that you love due to the cozy atmosphere in your bedroom! The colours in your bedroom should make you feel instantly at peace. The best colour? White! 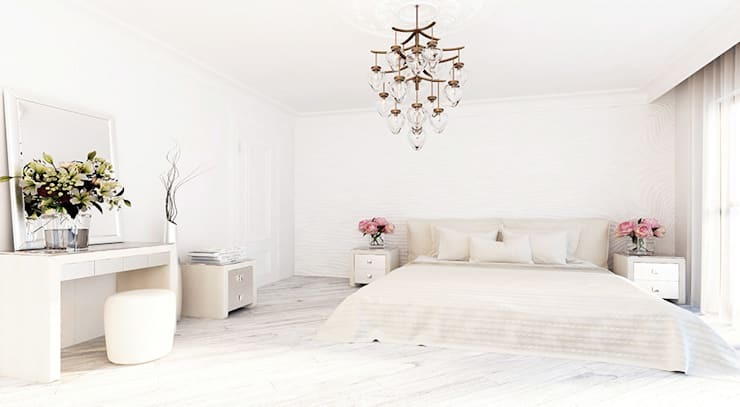 White is the colour that you need if you are looking to relax. This is the colour that will also help you to wake up in the morning, feeling refreshed. There is nothing better than to follow your intuition and trust your taste. Your mood can completely be defined by the hues that you choose for the environment where you spend your night. Whatever colour you choose, remember that there must be a harmony of colours, light and objects that influence your state of mind, allowing for a peaceful sleep and a restorative night. What are you waiting for? Have a relaxing night and follow the tips and advice that we give you! Trust what you've always dreamed of when it comes to decorating. Invest in your personal taste. Absorb the ideas that inspire you and take advantage of what appeals to you. Then you will have the bedroom of your dreams, providing a calm and relaxing environment to your days and to your nights. Don't you love this bedroom from Home Staging Factory? When it comes to the walls, choose elements that you identify with. Whether it's modern or classic, or a mixture of the above, you can create the environment that you've always wanted in your bedroom. And then, just by dreaming, with your eyes opened or closed, your bedroom will be an oasis. Curtains play a decorative role and add a touch of excellence to any bedroom, especially those who are looking for some peace and quiet. Curtains for the bedroom may or may not touch the ground, but they should let in a little bit of light to convey some peace and atmosphere. Curtains can add a sense of sensuality and personality to a bedroom. Choose the curtains that you want because this is your bedroom and it should feature your tastes. Undoubtably, curtains will give it that extra charm. Wake up and fall asleep surrounded by sweetness, while enjoying your dreams or simply relaxing in your place of peace and tranquility. In the morning, the sun's rays will bless you with a brand new day. Have a look through these homify bedroom accessories for inspiration for your curtains. 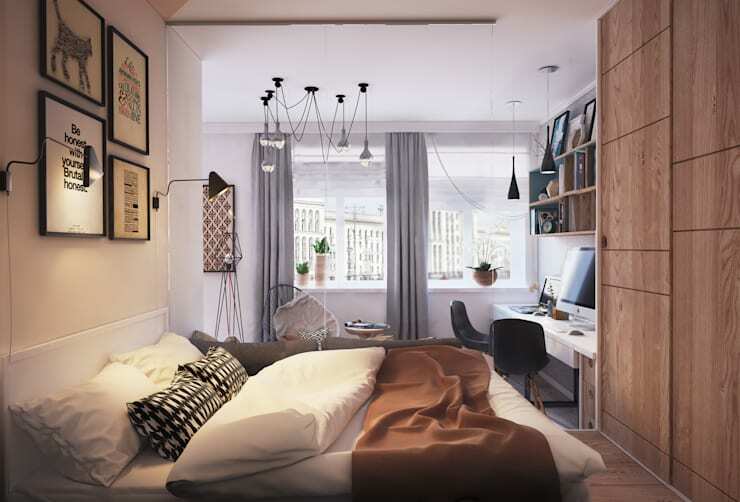 For many, your bedroom may also be your office or study area. If so, invest in both natural light and indoor lighting. Create a system that meets your needs and gives warmth to the space. It should also be gentle on the eyes. Do not hesitate to create the perfect environment so that when you get to work, nothing fails. Before falling asleep, many of us like to read. Place a bedside lamp on the table next to your bed, allowing you to see better. You can also opt for a wall lamp. Whatever your choice, don't forget about a good lighting system! 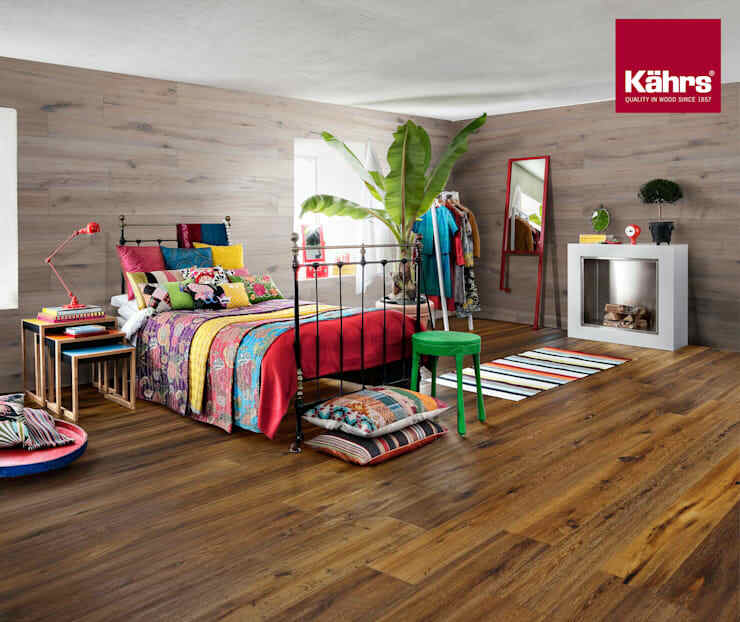 How beautiful do the plants look in this design by Kahrs? If you are passionate about plants and you can't resist a touch of it here and there in the house, then plants can be the perfect solution! The colour and warmth that they bring to the space can be unbeatable. This example shows you how the plants work beautifully with decor that is rich in colour. This decor is simply unforgettable. A cozy room, decked out in the wonder of Mother Nature, it's the perfect symbiosis, don't you think? The perfect bed is a canopy bed, which tells all sorts of stories of delight. It reminds us of tales of princesses looking for their prince, as well as a thousand other special stories. Any princess would feel loved and peaceful in this type of bed. The canopy bed, surrounded by a very minimalist and simple environment, can give life to the fantasies that we've always dreamed of. You can perfume your bedroom via plugs in the wall, incense or better yet—flowers. Natural flowers are the best, yes? If you have very neutral tones in your bedroom, that you can choose flowers with very strong colours. This will create a simply fantastic environment. Don't you think? How incredible does this image looking, showing the contrast between the flowers and the walls of the room. A good scent is unforgettable and it depicts the identity of people and their bedrooms. Turn your bedroom into a relaxing oasis. Enjoy every detail of your room and pair it with your favourite scent! If you like this Ideabook, read this one on creating: Feng Shui bliss in your kitchen.